A new revenue tax on social media has taken effect in Uganda, angering many who see the measure as an attack on free speech. 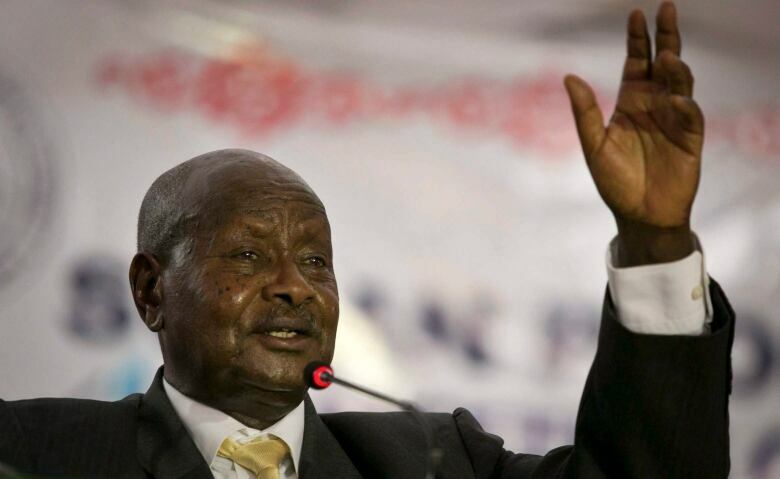 The tax on users of sites such as Facebook was first proposed by longtime leader Yoweri Museveni, who complained of online gossip in a March letter that urged the finance minister to raise money "to cope with the consequences." Service providers, including regional telecommunications giant MTN, said in a joint statement Sunday that starting July 1, the levy would be charged on "Over The Top services," including access to websites such as Instagram, Twitter and LinkedIn. The tax will be deducted by service providers that will then pay to the government revenue service. Many Ugandans are "bitter" because the tax "was brought in bad faith," said Ladislaus Rwakafuuzi, a prominent human rights lawyer. "The reasons for it were anti-people, were anti-social, not development-oriented," he said Monday. Amnesty International urged Ugandan authorities to scrap the tax, calling it "a clear attempt to undermine the right to freedom of expression" in the East African country. From the social media levy, the government hopes to collect about $136 million in the current financial year. About 17 million of Uganda's 41 million people are active internet users, according to government figures. This is not the first time Uganda's government has taken actions widely seen as curbing social media use in the country. "Many Ugandans have been indifferent to the ills of Museveni's regime but now that they are being directly taxed, they will probably wake up and start asking how their taxes are being spent," said Gerald Bareebe, an academic researcher who regularly uses social media. "And I think if Ugandans come to know about how their money is being wasted through corruption, they will put pressure on the regime to change."